Bagan is an area which gathered itself hundreds of Buddhist temples. Numerous palace buildings, stupas and ruins of Asian religion there turn the place into the largest Buddhist temple complex in the world. Situated along the beautiful river of Irawadi, Bagan is located in Myanmar, India, about 145 km from the city of Mandalay. Despite the spectacular panorama of the temple complex, it is not included in the list of world heritage of UNESCO because of the fact that some of the temples are renovated with historical patterns that today are still unexplained. 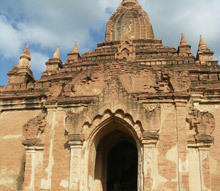 The architecture of the buildings in Bagan are an influence of the later stage of the overall architecture of Myanmar. 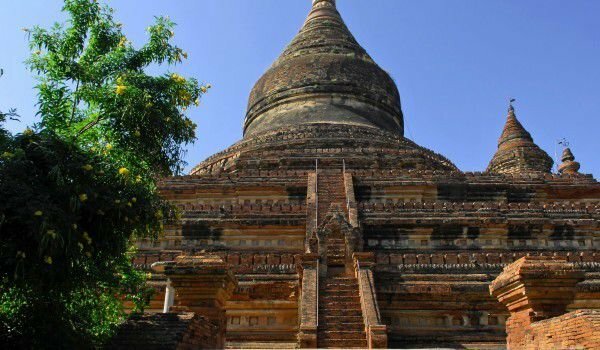 This rich area of archaeological sites include buildings which were built in the early 11th century, most of them thanks to the kings of the dynasty of Bagan until the 13th century when they managed to raise hundreds of stupas and temples there. 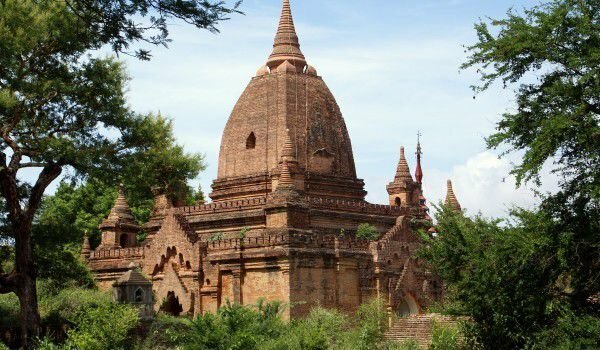 There are a total of 2200 historic monuments in the territory of Bagan, some are small and overgrown with grass. Others, such as central Ananda Temple is not only spectacular in its essence, but are a model for numerous other buildings at a later stage. Ananda was founded in 1091 by King Anawrahta. The central part of the walls are 53 meters and its height is 108 m. Each wall has a door and six terraces of the temple reduced sequentially. One of the biggest attractions there is perhaps the Myazedi column that is a stranger to the Rosetta Stone version. In this column are reserved inscriptions in four languages - Burmese, Puy, Pali and Mon. Following the opening of the column in 1917, scientists are motivated to decrypt messages of the previously unknown writing of Puy. The column itself is located in the stupa, which bears the same name. In this temple you can see hundreds of inscriptions, sculptures and antiques, which were found during excavations at this place. A typical example of the later period of the local religious temple Gawdapalin Architecture is built by King Narapatisithu in the 11th century and was completed later by his son. From some parts of the temple you can see the beautiful panorama of the river Irawadi. Mahabodhi temple in Bagan is also quite beautiful, which is a copy of the Indian religious Bodgaya home in the Indian state of Bihar. This sanctuary stands out among other buildings in Bagan with its unique architecture, designed and built in the early 13th century.